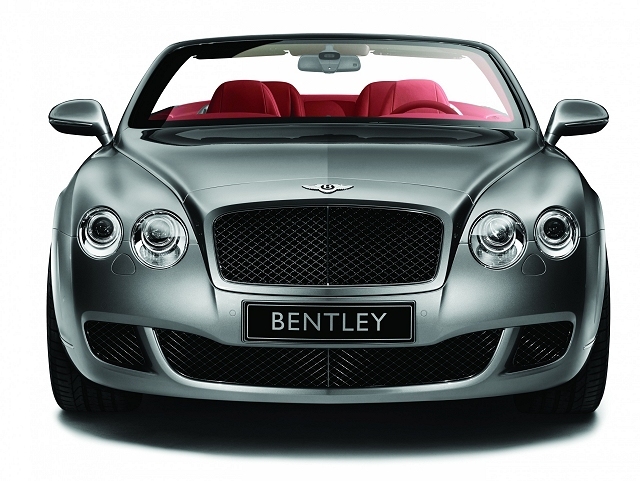 2010 Bentley Continental GTC uses 20-inch alloy wheel 14-spoke. On the interior, Bentley uses Beluga leather upholstery, white piping, Piano Black veneer, an aluminum engine, alloy pedals, and the logo "80-11 Edition" on the sill plates. GTC has a twin-turbo W12 engine 6.0 liters with power 552 hp (412 kW / 560 PS) and torque of 479 lb-ft (649 Nm). This makes it possible to travel the speed of 0-60 mph in 4.8 seconds, before reaching a top speed of 195 mph (314 km / h).